The PSC Parhelion fleet had a couple of interesting races this morning; no sunshine but a fluky breeze with some holes in around some heavy clouds and rain. Race Officer Daryl Bowles set both races with initial legs from Gleeds towards N Sturbridge; during the first heavy rain played havoc with the find speed and direction - however One More Knot managed to play the shifts (and holes) well to open up a lead of over 10 minutes by the finish. 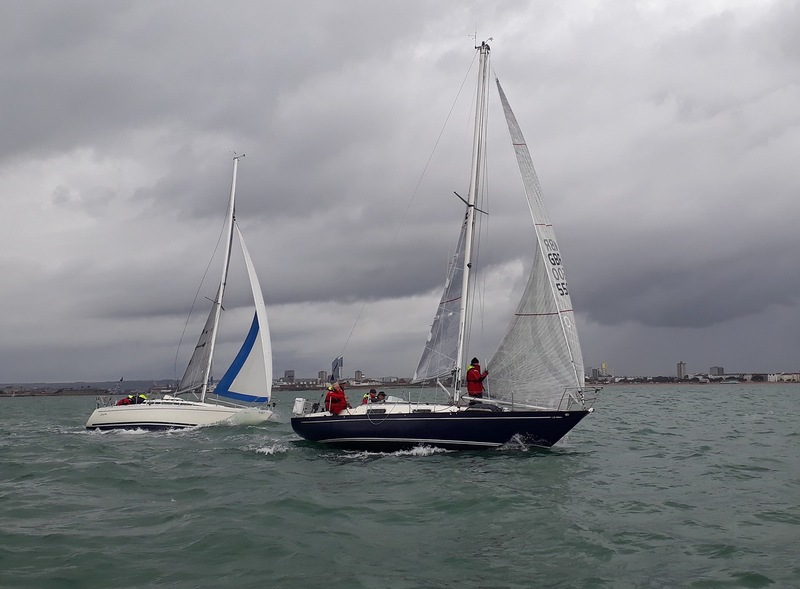 The wind had backed around to the South and eased by the start of the second race; conditions that clearly suited Easy Tiger who had her best performance of the series, beating One More Knot into second place.